Surrounded by mature redwood trees, this custom craftsman style estate stands distinctive and impressive along the 4th Fairway of the country club's golf course. 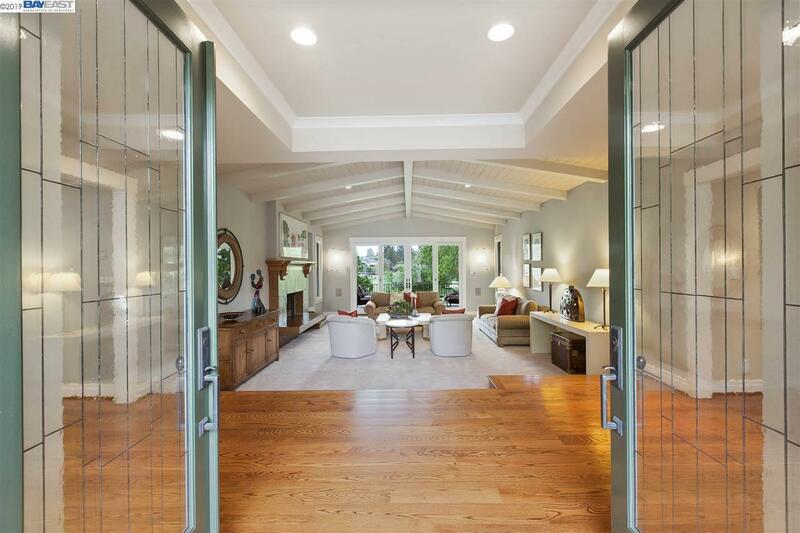 Taken down to the studs in 2002, this remarkable constructed home boasts over 4800 sq. ft. and offers 5 bedrooms, four and one-half baths plus media/bonus room, and 1200 bottle climate controlled wine cellar. Lives like a single story. Downstairs bedroom en-suite has separate entrance for potential au pair or extended guests. Delight in the magnificent backyard oasis, complete with generous sized patio areas, built in kitchen, pool, vibrant plants and flowers, and an outdoor covered pavilion perfect for gatherings around the fire place. Additional features include walnut stained hardwood flooring throughout, copper gutters, 4 car garage, well for irrigation, tankless water heaters, new sewer line, french drains, and professional landscaped front and rear yards by Peter Koenig. One of a kind property not to be missed.